- Double click the "Java Refresh.jar" when you hosted a game and it will take care of rest. - If you want the todates most advanced refresh method, here it is. - Java says it all. This application is designed to refresh your game faster and with less spam then any other refresher. -Massive decreas in join/leave messages when refreshing. -Can be ran on more platforms then the game client can it self. -Command in lobby to shut it down ".stop"
try to make some more sense yourself. the host can type ".stop" in lobby to force shutdown the refresher. "why running a tool for a game you can't run?" lolwut? java works everywhere i've seen. w3client doesnt if thats what your saying, and obv you use this for the game not without the game. It's a feature, and who would use a warcraft iii tool without having warcraft iii sometimes commen logic answer your questions faster then the creator. You are contradicting yourself. Nobody would run a tool which is for a game he can't play. And so this is not a feature, is it? the feature was to show how many platforms it will run on, It have the compability to run on more platforms then the game client have it self. THE COMPABILITY. now srsly sir if thats not enough of a answer ur logic is to low and i wont bother. I think you take the whole compactiblity thing to serious. You should just say "runs on every platform". And stop offending, I was trying to help. i never offended you.. but i just used 3 posts now 4, to explain what i wrote with the same i wrote just a tad different words. so srsly if you think it's bad java can run on more systems then the wc3 client can then good for you. your suppose to click the "Click here to download Java Refresh.jar (14.29 KB, 5 Downloads)"
"Officially" anyways. It's untrue, because using WINE, Warcraft III can be run with a platinum rating; as long as you use the AcceptEx patch there are absolutely no problems playing. Oh, and I just tested it on Linux. It doesn't even open. don't even talk if you dont know what prompt operating systems are. and it doesnt open cus it's a prompt program open it with cmd line. if you want to "se it"
damm people on here know nothing pathetic.. facts are facts. I did open it with terminal. I got an error stating that I didn't mark it as executable, however I did. Could not find the main class: /home/alex/Desktop/JavaRefresh.jar. Program will exit. edit2: Nevermind, I got it working, forgot that in terminal you need to say "java -jar" and then the filepath. Now then, it insists on using port 6112. Is there any argument we can use to modify it? My router refuses to open 6112, so I have to resort to 6113. Doesn't Emacs have a command for that? Anyway, I think it's safe to assume that you can get Java to run on pretty much everything if you try hard enough. Now everyone calm down and stop with the being morons. Back on-topic and whatnot. Application checked for any backdoor, seems safe, the tool works very well too. 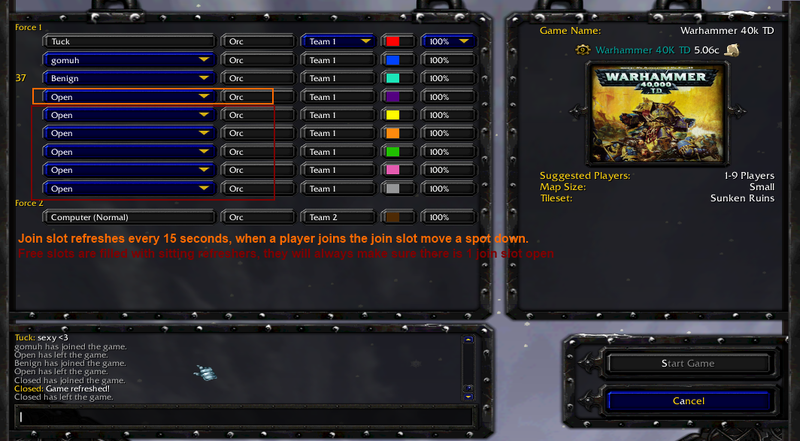 Overall it's very useful for game hosts. I vote for approved, rating 4/5.